By Rachel Held Evans, on May 09, 2013. 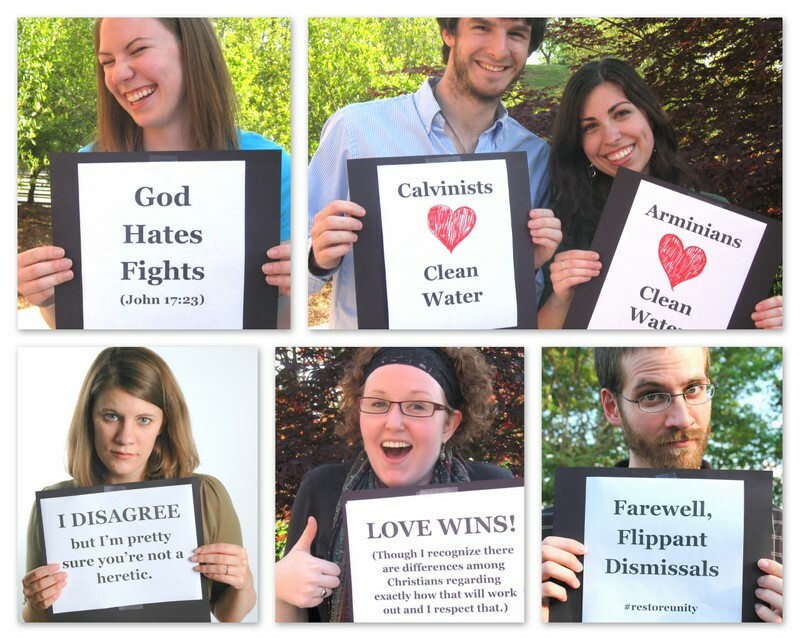 As you may remember, back in 2011, we held our Rally to Restore Unity—a little online celebration of Christian civility, complete with posters, photos, a synchroblog, guest posts, and a fundraiser for Charity Water. Between the rally and my birthday, we raised $5,000, enough money to help fund a major water project for Charity:Water. And this week, I received notification from Charity:Water that our project has finally been completed! 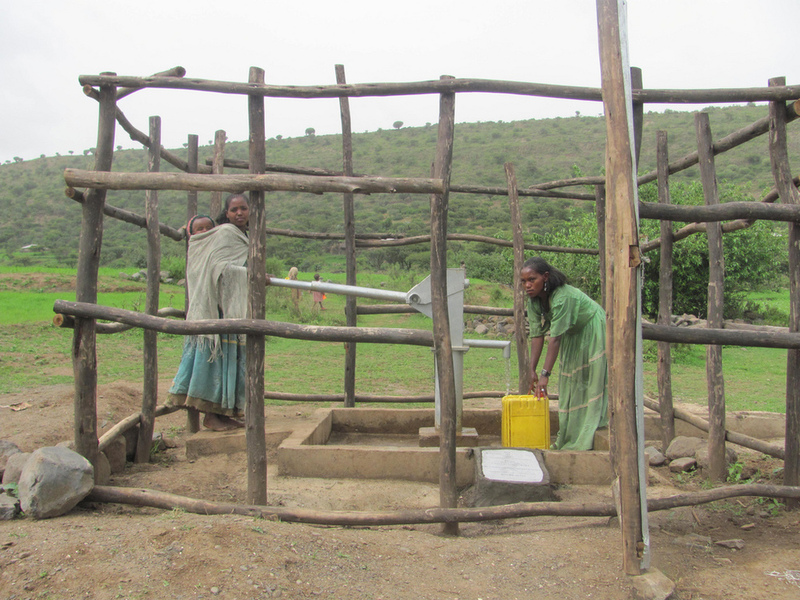 The well serves about 500 people who have been trained by Charity:Water’s local partners in safe hygiene practices and basic maintenance of the well. 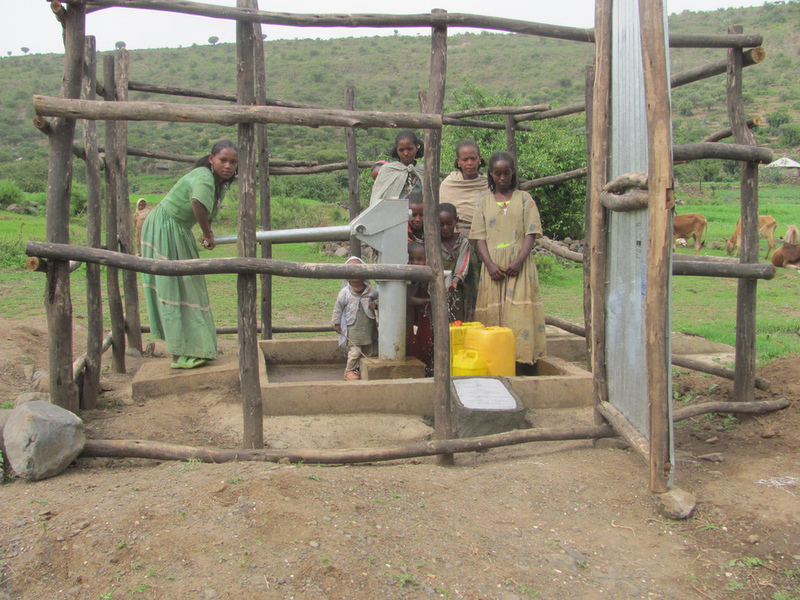 Each family using the new water source contributed toward their project's construction and will continue to pay a small amount to use the water; the community will save this money for any necessary maintenance and repairs. Members of the community decided to build the fence and door to prevent animals from contaminating the area. Diseases from unsafe water and lack of basic sanitation kill more people every year than all forms of violence, including war. Children are especially vulnerable, as their bodies aren't strong enough to fight diarrhea, dysentery and other illnesses. In Africa alone, people spend 40 billion hours every year walking for water. Women and children usually bear the burden of water collection, walking miles to the nearest source, which is unprotected and likely contaminated. Time spent walking and resulting diseases keep them from school, work and taking care of their families. Along their long walk, they're subjected to a greater risk of harassment and sexual assault. With safe water nearby, women are free to pursue new opportunities and improve their families’ lives. You can learn more about the community at Machelot here, and more about how Charity: Water turns a fundraising campaign into a completed water project here. I cannot thank you enough for your donations, which ranged from $5 to $500. It’s such an honor to be part of this community, which has connected with another community, many miles away. From every hardship, let there come honey. To the hungry, let food. To the thirsty, let drink. Clothes to the naked, care to the sick. To the stranger, let welcome. To the prisoner, let company. Let honey. Let honey. Let honey.